A regular feature on the TREMEC blog is a spotlight on the people behind the wheel of #TREMECequipped vehicles. We share stories about their vehicle and why they enjoy shifting gears for themselves and working the third pedal. 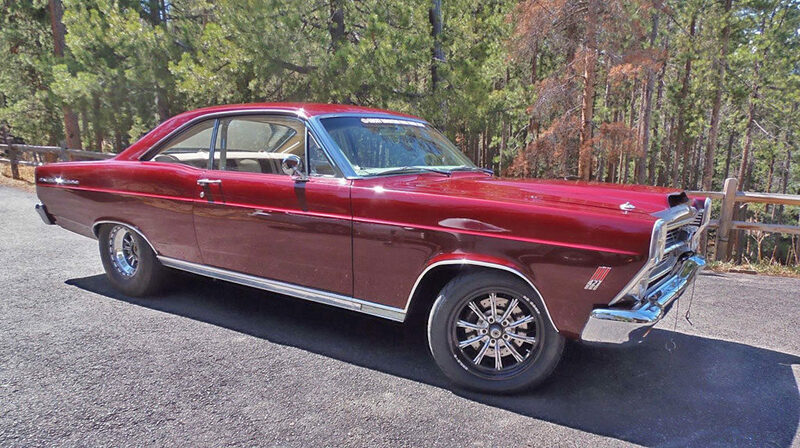 This month’s customer spotlight is on Bill Armstrong and his Magnum 6-speed–equipped 1966 Ford Fairlane 500. Bill bought the Fairlane when he was 17 years old, and drove with the factory automatic transmission for about 20 years. By 2012, he was tired of the boredom and chucked the automatic onto the scrap heap, replacing it with a TREMEC TKO 600 five-speed package from Modern Driveline to bring some excitement to driving. Shortly after that, and with an eye toward competing in Hot Rod magazine’s Drag Week, Bill had a Windsor-based 427-inch engine built. The new mill included a Dart block, Callies Magnum crank, Oliver rods, Ross pistons, Trick Flow Specialties High Port 240 heads and Holley Dominator EFI system. The package was designed to accommodate Bill’s other upgrade, a twin-turbo power-adder system. It was at that time Bill also replaced the TREMEC TKO 600 with a new TREMEC Magnum 6-speed with 2.66 first gear package, again from Modern Driveline. Part of the package was a twin-disc McLeod RXT streetable, 1,000-HP–capable clutch and an American Powertrain White Lightning offset shifter. Bill used the TREMEC Toolbox App to get things set up properly and to find the proper driveline angles for connecting the Magnum to the rear end. The Fairlane has a Rod & Custom Motorsports rack-and-pinion power assist and an electric power steering pump from a Toyota MR2 Spyder. It also features QA1 shocks at all four corners, a full Wilwood disc-brake system and Calvert split monoleaf springs with CalTrac bars. There’s something about a stacked-headlight Ford that always gets us excited, and we don’t think anyone would argue—Bill Armstrong’s is exceptional. The engine in Bill Armstrong’s Fairlane is a Windsor-based 427 cubic-inch small-block, featuring a Dart block, Callies Magnum crank, Trick Flow High Port 240 aluminum heads and Holley Dominator fuel injection. With the twin turbos forcing in air, the combo makes 943 horsepower to the rear wheels on pump gas. Plans call for an E85 fuel system to raise the power even more! We dig the bench seat, stick-shift combination in Bill’s Fairlane. 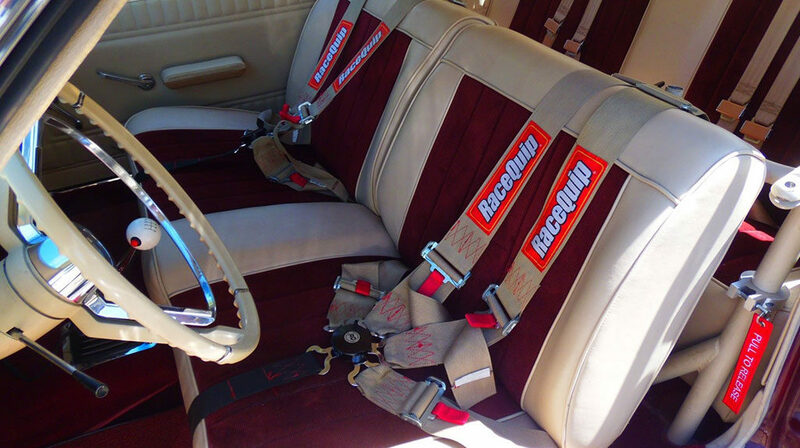 Five-point harnesses were added with Hot Rod Drag Week in mind. Painted to match the interior, Bill’s cage blends beautifully into the cabin and allows it to retain its classic street machine appeal.